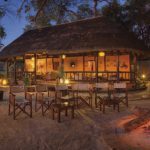 Luxury Botswana At a Wildly Low Price – Exclusive Offer! Enjoy seven nights of luxury in Botswana’s premier wildlife areas for an incredible $4,430 per person (based on two people sharing). This exclusive offer is valid from: 15 November, 2015 – 31 March, 2016 and available if you book directly with African Portfolio. 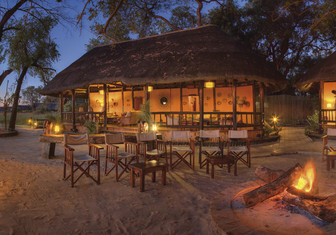 The offer includes all accommodation, inter-camp flights, twice daily shared safari activities, all meals, local beverages, and a minimum of 7 consecutive nights. Extra nights can be added. Your journey starts on the banks of the Savute channel a magnificent wildlife area inside the Chobe National Park boundary. 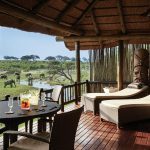 You’ll spend 2 nights at the Belmond Savute Elephant Lodge which places you in the hot spot for the abundant predator prey action that this area is famous for. The Savuti marsh attracts a huge variety of wildlife year round as well as an annual zebra migration, that is spectacular. Savute is also home to some very rare rock paintings by Bushmen who once inhabited the region, and its little forests of ancient Baobabs. A short scenic flight on your third day, will take you deep into the Moremi Wildlife Reserve. Nestled on the edge of a leadwood and fig tree forest, overlooking the vast Khwai River floodplains lies Belmond Khwai River Lodge. Here you are close to Africa’s heartbeat, at the centre of a world that has not altered much since life began. Enjoy twice daily game drives and even a night safari with spotlight to spy on the nocturnal animals in the bush. 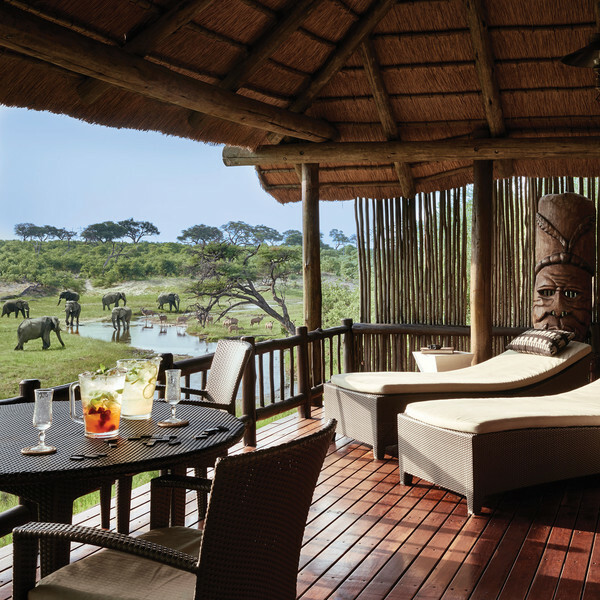 Relax with a spa treatment in your own room, and enjoy the wildlife that visits camp from the privacy of your own deck. 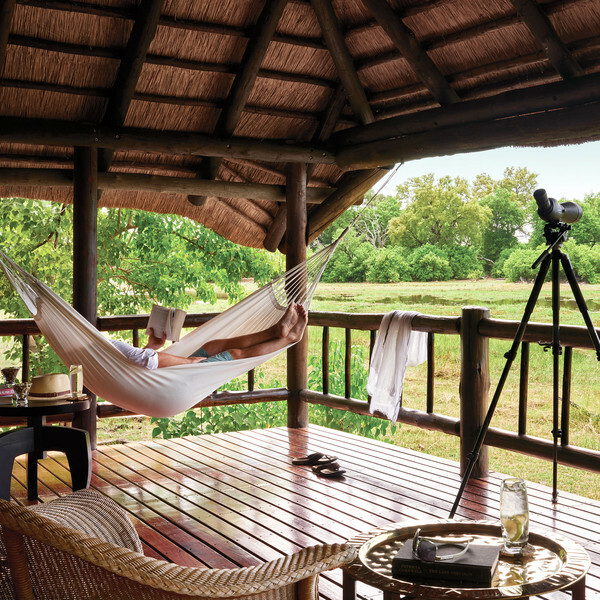 Y our final two nights in Botswana will be spent on an island in the middle of the Okavango Delta at the newly refurbished Belmond Eagle Island Lodge. Explore the floodplains and channels of this watery wonderland that few people are privileged to witness. Travel by boat or traditional mokoro through “hippo highways” in the tall papyrus. When the water levels are lower, you can enjoy land-based game drives as well. All three lodges on this fantastic itinerary have just a handful of exclusive, stand alone luxury rooms. Every room is furnished with a four-poster bed complete with mosquito netting, lavishly appointed bathroom and dressing room, a fully-stocked minibar and discreet air conditioning. 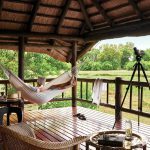 Each room is built on a raised wooden platform, with a private outdoor deck furnished with comfortable lounge chairs and shaded by traditional thatch roof. The perfect place to reflect on the beauty that surrounds you, with a cold drink in hand. If you are in the mood for a romantic private dinner — no problem, dinner can be served right on your deck. Click here for a detailed itinerary …. ← The Great Migration – And They’re Off….